GO FOR In the coastal kingdom of Monaco, which is virtually synonymous with the glamorous municipality of Monte Carlo, multimillion-dollar yachts jockey for harbor space, impeccably coiffed women in sunglasses and stilettos strut the shop-lined Cercle d’Or, and bronzed beautiful people bask at exclusive beach clubs. Visitors come to try their luck at the legendary Casino de Monte-Carlo, where, surrounded by crystal chandeliers and gold-flecked mosaics, you can get in on roulette for five euros (plus a ten-euro admission charge). Royal-watchers might climb to the hilltop palace to see the changing of the guard and perhaps catch a glimpse of Prince Albert II and his wife, Princess Charlene, whizzing by in a motorcade. 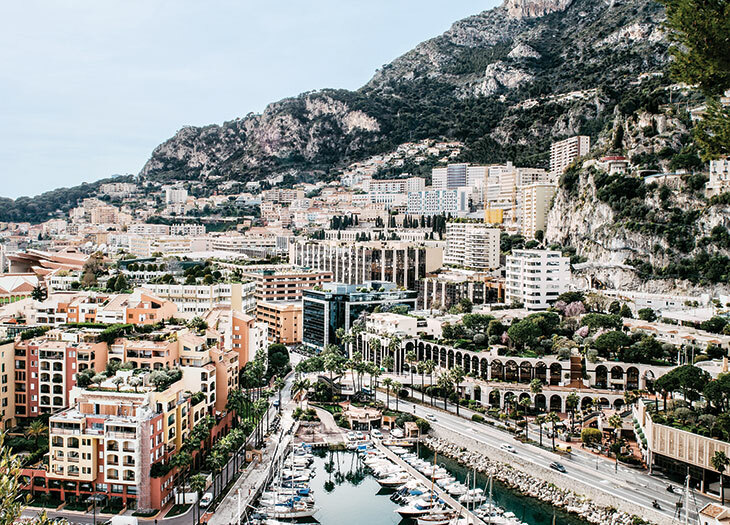 And the high-octane adrenaline rush of the Formula 1 Grand Prix de Monaco marks its 75th edition May 25 through 28, when some fans will shell out upward of $6,000 to watch competitors speed through city streets from a prime position on the harbor’s edge. EAT Monte Carlo’s top hotels house a constellation of Michelin stars, including three-star Alain Ducasse institution Le Louis XV (Hôtel de Paris), two-star Joël Robuchon Monte-Carlo (Hotel Metropole), and one-star Le Vistamar (Hôtel Hermitage). Beyond the big-name dinner-as-theater spots, there are freestanding dining options worth exploring. Cipriani Monte Carlo (1 avenue Princesse Grace) embodies retro elegance, with polished mahogany paneling and waiters in white jackets and bow ties serving Italian classics. Try the homemade baked tagliolini or veal chop alla Milanese. Nearby, feast on the city’s first fine-dining dim sum while seated on a green velvet banquette at Song Qi by Alan Yau (7 avenue Princesse Grace). DRINK Drink in Monaco’s buzzy vibe on place du Casino, Monte Carlo’s most famous square. Grab a seat on the sidewalk terrace fronting Café de Paris (across from Hôtel de Paris), where you can peer over your bubbly and caviar blini at the sophisticated parade of passersby. 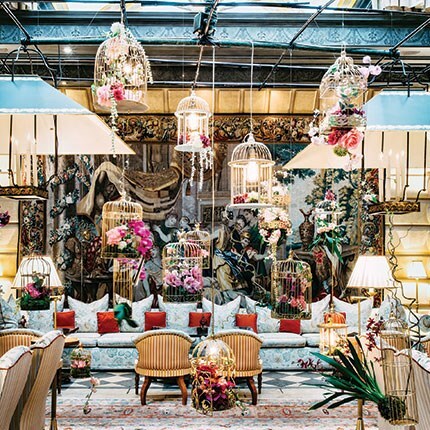 Lose yourself in a Lazy Tears (Ardbeg Scotch, vermouth, and bitters) in the wood-paneled Le Bar Américain (Hôtel de Paris), and end your evening dancing at the strobe-lit Buddha-Bar (place du Casino) with an Aperol-inflected Asian Spritz. SHOP Bag previously owned designer fashions for a bargain at Le Dressing (2 rue des Orangers and 1 rue Princesse Florestine). At Isabell Kristensen (18 rue Princesse Marie de Lorraine), buy prêt-à-porter evening wear or splurge on your own bespoke frock, with prices starting around $3,100. Shop for baby clothes, fine linens, china, and accessories at The Princess Grace of Monaco Foundation’s La Boutique du Rocher (1 avenue de la Madone), where proceeds benefit ill children. For racing-themed gear, including hats, jackets, polo shirts, and shoes, visit the Automobile Club de Monaco’s Boutique Officielle (46 rue Grimaldi). STAY Hotel Metropole Monte-Carlo, with views of the Grand Prix’s most dangerous turn, has gardens and a heated seawater pool designed by Karl Lagerfeld, plus a new Givenchy spa, a book-lined bar, and 126 rooms and suites. Doubles from $480, including breakfast daily and a $100 dining credit. designed by Gustave Eiffel and three bars and restaurants. Among its 278 rooms and suites, the Pierre-Yves Rochon-designed Diamond Suite Duplex has a terrace with a Jacuzzi, pergola, and dining area. Doubles from $450, including breakfast daily and afternoon tea once during stay. Hôtel de Paris Monte-Carlo, which shares the Thermes Marins Monte-Carlo spa with Hôtel Hermitage, is undergoing a major renovation. The nineteenth-century landmark remains open while craftsmen create a new garden courtyard, a rooftop spa and pool area, and more-spacious rooms and suites. The big reveal is scheduled for next year. Doubles from $535, including breakfast daily and a $100 dining credit. Originally appeared in the May 2017 issue of Virtuoso Life.